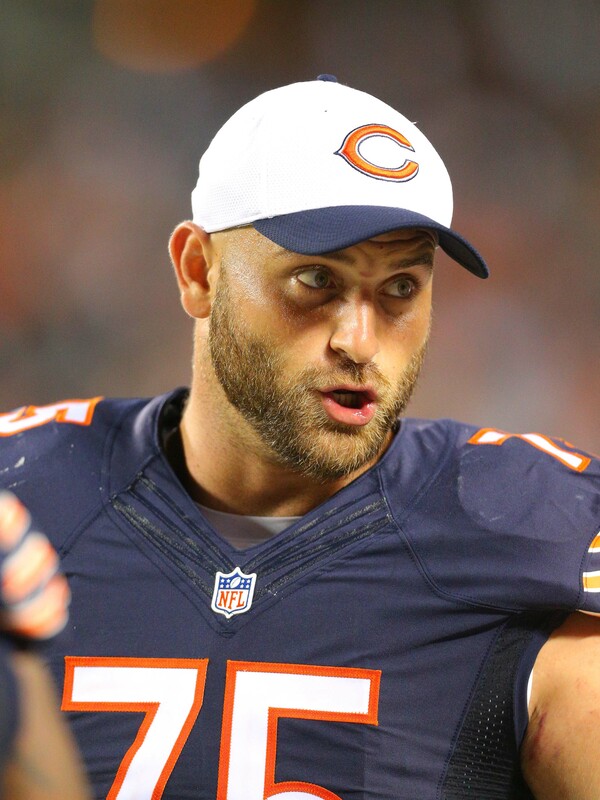 Bears offensive lineman Kyle Long has agreed to restructure his contract, a source tells Ian Rapoport of NFL.com (on Twitter). Long was a cap casualty candidate, but the adjustments to the deal will allow him to remain with the club for years. Long agreed to take $2.9M less in 2019, but he can make $2.5MM of that back through incentives, Rapoport hears (on Twitter). Meanwhile, the Bears turned the 2020 into a team option and removed Long’s 2021 season, allowing him to reach free agency sooner. Long re-upped with the Bears on a four-year, $40MM contract extension early in the 2016 season, putting him under club control through 2021. Discontinuing the deal, which included $30MM in guarantees and a $7.5MM signing bonus, would have called for the Bears to carry a $3MM cap hit against $5.5MM in savings this year. The 2013 first-round pick has battled through injuries over the past three years, missing a total of 22 games during that span. When he’s been in the lineup, Long has been among the top offensive guards in the entire league. Pro Football Focus ranked him as just the 36th best guard in the NFL last year, but he was previously an annual inclusion in the top-five. Thanks to a foot injury, Long missed eight regular season games in 2018. However, the three-time Pro Bowler recovered in time to play in the Bears’ opening round playoff loss to the Eagles. The Bears will be receiving a boost just in time for the playoffs. 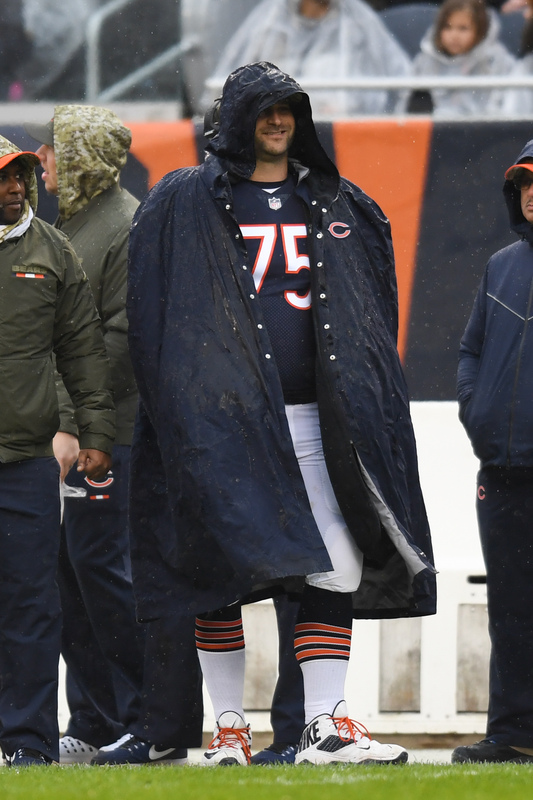 NFL.com’s Ian Rapoport reports (via Twitter) that the team will be activating offensive lineman Kyle Long off the injured reserve today. To make room on the roster, Chicago waived quarterback Tyler Bray (via ESPN’s Adam Schefter on Twitter). Long suffered a foot injury during his team’s late-October victory over the Jets. The injury involved a tendon, and it wasn’t related to his broken ankle from 2016. His estimated time of recovery was six to eight weeks, and Long was healthy enough to be activated by the time he was eligible to return. Earlier this week, head coach Matt Nagy acknowledged that Long had completed an entire week of practice and would likely play most of the game this weekend. ‘‘Just talking to him throughout the week, I feel pretty good with him playing most of the game,’’ Nagy told Patrick Finley of the Chicago Sun Times. ‘‘But we’ve just got to kind of see if that’s where we’re at and if it is a pitch count. I think a lot of that, honestly, is going to be more so when you’re in the game: How’s he feeling? The 2013 first-round pick has battled through injuries over the past three years, missing a total of 22 games during that span. When he’s been in the lineup, Long has been among the top offensive guards in the entire league. Pro Football Focus only ranks him 28th among 79 eligible guards in 2018, but he was previously an annual inclusion in the top-five. Current starting offensive guards Eric Kush and James Daniels have seen their way in and out of the starting lineup this season, and Long will surely replace one of them. 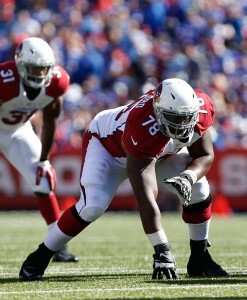 Daniels, a second-round rookie, has graded out as the better lineman this season, per Pro Football Focus. 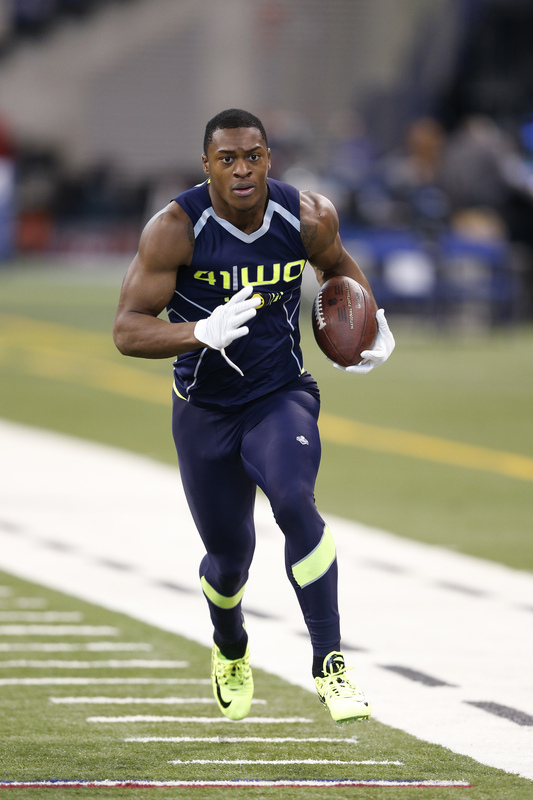 New Bears wide receiver Allen Robinson has not participated in most of the team’s offseason program as a result of last year’s torn ACL. However, coach Matt Nagy says he’ll be ready to roll as the team reconvenes and will not open camp on the PUP list (Twitter link via Brad Biggs of the Chicago Tribune). The Bears signed Robinson to a $14MM/year contract this offseason and they are banking on him becoming their top offensive target this year. Robinson’s 2017 was a lost cause, but the Bears believe that he can get back to his 2015 form, a season in which he had 80 catches for 1,400 yards and 14 touchdowns. Even as he regressed in 2016, Robinson still finished out with 73 grabs for 883 yards and six TDs, so his floor is fairly high, provided that he can stay healthy. Nagy also indicated that offensive lineman Kyle Long will be cleared for camp. Long missed a significant portion of last season and underwent shoulder, elbow, and neck procedures, but it sounds like he’s on track to play in Week 1. The Bears went 5-11 last year and finished with the worst record in the NFC North. After retooling their offense and using a top ten pick on linebacker Roquan Smith, the Bears are feeling optimistic about their chances in 2018. Earl Watford visited the Bears on Monday, and that that summit is expected to lead to a contract agreement. The Bears are expected to sign the UFA offensive lineman, Brad Biggs of the Chicago Tribune reports. A Watford signing would reunite him with former Cardinals line mates Bobby Massie and Bradley Sowell, while supplying depth to the Bears’ offensive front. With the Bears having released Josh Sitton earlier this offseason, and Kyle Long enduring more three more surgical procedures this offseason (story via Jeff Dickerson of ESPN.com), there’s a route to the starting lineup for Watford. The former fourth-round Cardinals pick started nine games for the Cards last season and 11 in 2016. 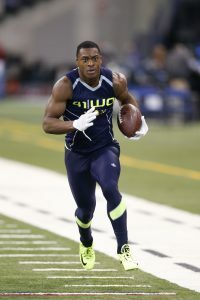 The Jaguars initially signed Watford last March but released him later in the year, and he wound up back in Arizona. Chicago does not have an obvious replacement for Sitton on its current roster, and Watford would bring the most experience among the candidates to start at left guard opposite Long. Eric Kush and 2017 fifth-rounder Jordan Morgan are also expected to be in that mix, per Biggs, adding that Watford could be a candidate for a swing role if he’s beaten out for a starting spot. Both Kush and Morgan underwent surgery in recent months, and Long will not participate in OTAs, per Biggs. Pro Football Focus has graded Watford as one of the worst full-time blockers in the game over the past two seasons, however, but the 27-year-old James Madison product has made 22 starts over the past three years.